All rooms are non-smoking. Please read our pet policy here. 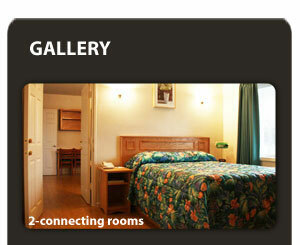 All room rates include free high-speed Internet and a continental breakfast (served daily from 7:30AM). Groups requiring early breakfast hours: Please call or email us prior to making a reservation. Rollaway beds available on a first-come, first-serve basis for a nominal fee.